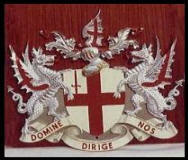 Coat of Arms of the Corporation of the City of London. Displayed on the front of the bridge of every LOF ship. Just after the First World War Manuel Kulukundis, a young Greek whose family had been involved in shipping for over a hundred years, arrived in Dover. It was his intention to start operating ships from Great Britain which was still the biggest maritime nation on earth, along with his cousin, Minas Rethymnis, they jointly set up an agency aptly called Rethymnis and Kulukundis Limited (R & K) at 15, Great St. Helens, London. A few years later they were joined by Manuel’s brothers George and Nicholas. A cousin Basil Mavroleon, also known as ‘BM’, started as office boy and messenger. A transition period from Counties Ship Management – although both companies were independent – they shared a lot of resource. Two more brothers join the prospering business in 1927-28. These were John and Michael, this takes the number to 5 ‘K’ brothers and BM running what was to become synonymous with Greek shipping in the City of London. Both George and Nicholas were Master Mariners and in the early years served at sea as Captains, later as time went on both served in the office as Marine and Engineer Superintendents. BM apparently all but lived in the Baltic Exchange having developed a flair for chartering ships, Manuel though not the eldest was always considered to be senior in all matters relating to business which was not just R &K but Counties Ship Management Company Limited as well. The Kulukundis Family had owned ships for over a hundred years mainly in the Mediterranean and Black Sea, R & K looked after many of these Tramp Steamers. In 1936 they decided to try to establish themselves in UK Trade and acquired a number of British vessels managing them through the ‘Counties’ Company. At the outbreak of the war the Government requisitioned all ships for the duration although R & K Ships were Greek registered they nevertheless placed them at the disposal of the Allies. John Kulukundis and Basil Mavroleon stayed behind in the UK to run their ships under the control of the Ministry of War Transport. Built: 1940 by Bartram and Sons Ltd., Sunderland. Engines: Single Screw Triple Expansion by North Eastern Marine Engineering Co. 1938 Ltd., Newcastle. Launched 10th July 1940, completed February 1940. Yard No. 284. Ordered for Putney Hill Steamship Co. Ltd. (Counties) as Richmond Hill. Transferred to London and Overseas Freighters Ltd. February 1949, renamed London Craftsman 1950. Sold to Soc. Anon. 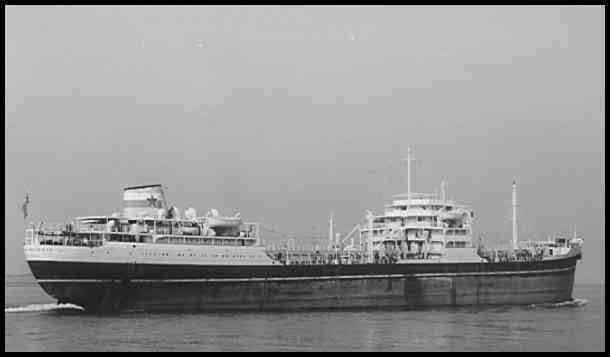 Importazione Carboni E Navigazione, Italy and renamed Italgloria 1951, renamed Fiducia 1951, sold on once more before being scrapped July 1966 at Yokosuka, Japan by Amakasu Sangyo K.K. In 1940 Manuel, his brothers George, Nicholas and Michael transferred their activities to New York. At the end of the war when ships were finally handed back to their respective companies as with all the other shipping companies a very depleted fleet found its way back ready to resume normal commercial services. The Government had built many ‘Liberty’, ‘Empire’ and ‘Fort’ ships during the war; these were put on the market at very competitive prices. From the compensation received for its losses R & K and Counties acquired a number of these ships resuming business on an ambitious scale. Built: 1941 by Bartram and Sons Ltd., Sunderland. Tonnage: 7,579g, 5,596n, 11,137 dwt. Launched 4th October 1940 completed January 1941. Yard No. 285. Ordered for Dorset Steamship Co. Ltd. (Counties), transferred to London and Overseas Freighters Ltd. February 1949, renamed London Dealer 1950. 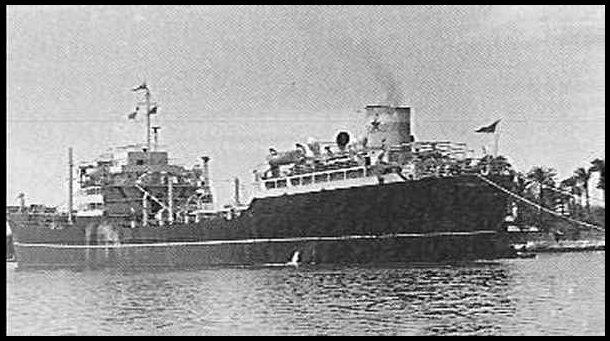 Sold to Sociedad Transoceania Canopus S.A. Liberia (Rethymnis and Kulukundis Ltd. London) March 1951 and renamed Centaurus and transferred to the Greek flag in 1960. One more owner before being sold to Jos Boel et Fils Belgium in 1964. Work commenced March 1965 at Tamise. Built: 1942 by William Doxford and Sons Ltd., Sunderland. Tonnage: 7,268g, 5,121n, 10,200 dwt. Engine: Single Screw 3 Cylinder 2S.C.SA Doxford Opposed Piston. Launched 26th June 1942, completed October 1942. Yard Number 693. Coombe Hill – London Artisan © J.C. Ordered for Putney Hill Steamship Co. Ltd. (Counties) as Coombe Hill. Transferred to London and Overseas Freighters Ltd. February 1949, renamed London Artisan September 1950. 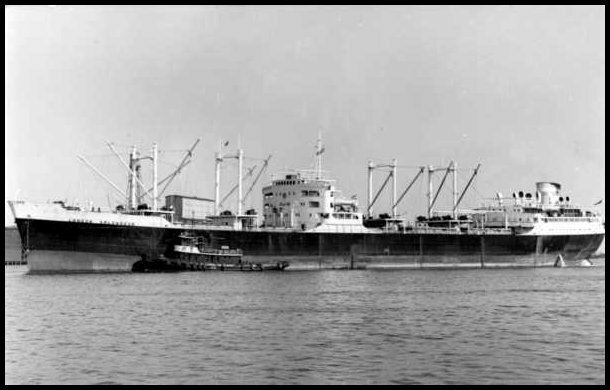 Sold to Eastern Shipping Co. Ltd., Bombay and renamed Jag Laadki 1953, sold on two more occasions before being scrapped on the 1st November 1968 at Etajima, Japan by the Fukada Salvage Company. Ordered for Tower Steamship Company Ltd. (Counties) as Tower Hill, transferred to London and Overseas Freighters Ltd. February 1949, renamed London Banker 1950. Sold to Aviation and Shipping Co. Ltd November 1953, renamed Avisbank, two more owners before being scrapped on the 15th August 1970 Kaohsiung, Taiwan, by Keun Hwa iron and Steel Works. Built: 1945 by Shipbuilding Corporation Ltd. (Tyne Branch) Newcastle. Tonnage: 5,193g, 3,060n, 10,275 dwt. Engine: Single Screw 3 Cylinder 2S.C.SA Doxford Opposed Piston by North Eastern Marine. Launched 28th November 1944, completed February 1945. Yard No. 10. Ordered for Ministry of war Transport and called Empire Morley managed by Headlam and Son Whitby. On the 13th May 1946 she was charted by Tower Steamship Co. Ltd., London for five years under the Ministry’s ship disposal scheme on the 13th march 1947 Tower Steamship Ltd (Counties) bought the Morley and renamed her tower Grange. 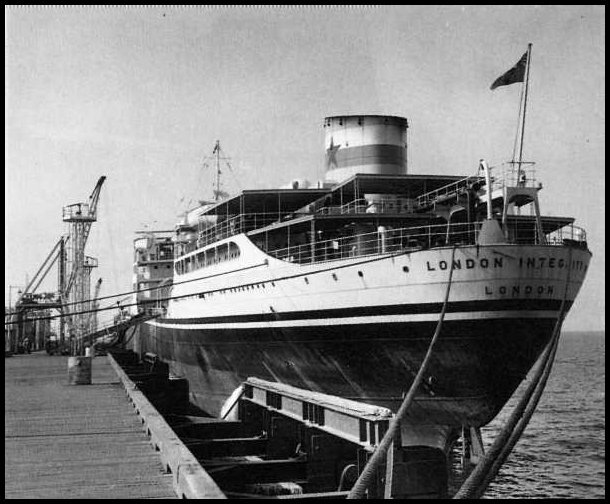 In February 1949 she is transferred to London and Overseas Freighters Ltd. and in 1950 she is renamed London Trader. October 1950 she is sold to Compania Maritima Azores S.A. (G.S. Embiricos) Liberia and renamed Nico, 1969 she is sold to Fukada Salvage Co., Japan and is broken up at Etajima in June of 1969. The brothers discovered that there was a dearth of British Flagged Tramp Tankers and charged ‘BM’ with the setting up of a company to build and run Tankers on their behalf. This was to be the start of London and Overseas Freighters. Thus four orders were placed at the end of 1947 with British Shipyards, three at Sir James Laing and Son Limited, each at 15,300 dwt. The remaining Tanker was to be built at the yard of Furness Shipbuilding. Its weight was 16,325 dwt. Because no one had really heard of the operation the Brothers had to give the British Shipyards personal guarantees as to when and where the money was coming from. On the 8th April 1948 London and Overseas Freighters were incorporated, at the core of the business were nine second-hand dry cargo ships owned through three holding companies, Putney Steamship Company Limited, Dorset Steamship Company Limited and Tower Steamship Company Limited. The shares of these three companies were exchanged for 1.7 million £1 shares in LOF, the companies wound up and the ships were transferred to LOF ownership. It was at this juncture that BM not only found himself at the helm of the Tanker Company but it also had no Office or staff to run it. BM opted for bombed out properties in Balfour Place, Mayfair. A team of architects/builders reconstructed the buildings to their former glory and with minimal alterations three floors became usable as offices. BM then approached the accountants who had advised the Kulukundis/ Mavroleon in the past to help him find a Company secretary, they recommended Stanley Sedgwick. A 34-year-old Chartered Accountant, he was duly appointed to the position on the 1st January 1949. 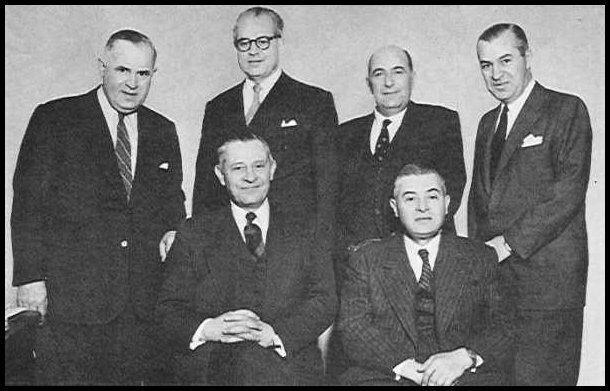 Experience in running a Shipping Company had to be found sooner rather than later and to this end four employees from ‘Counties’ were seconded to LOF, once the Company became operational BM became Chairman – Managing Director and Manuel, John and George Kulukundis became members of the Board. It was decided to use the prefix ‘London’ on all the ships and the Corporation of the city of London gave permission for the Coat of Arms to be displayed on the Bridge of every ship. The first ships to carry the London prefix were the nine dry cargo ships which were still being managed by Counties. Built: 1950 by Furness Shipbuilding Co. Ltd., Haverton Hill-on-Tees. Tonnage: 10,776g, 6,277n, 16,325 dwt. Engine: Single Screw 5 Cylinder 2S.C.SA Doxford Opposed Piston. Launched 31st May 1950, completed 26th September 1950. Yard Nos. 430. 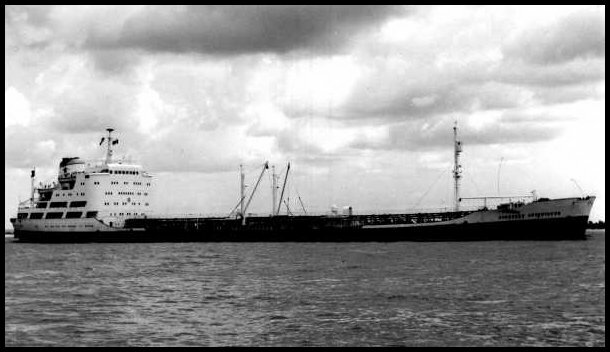 Ordered for London and Overseas Freighters Ltd. , sold 22nd April 1965 to Mayfair Tankers Ltd., Liberia (Mavroleon Brothers Ltd., London). 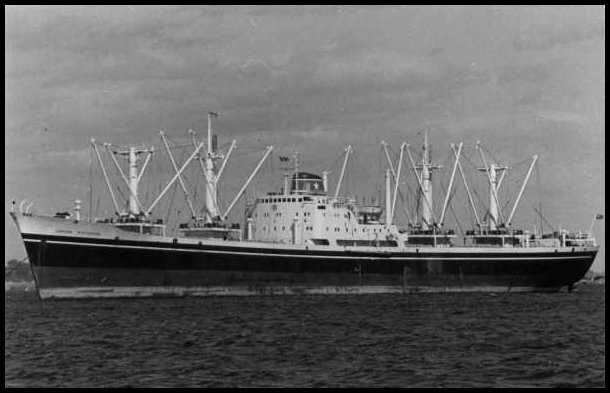 Placed under the Greek flag and renamed Platon, sold for scrap and arrived at Shanghai 14th February 1970. Launched 27th July 1950, completed 27th November 1950. Yard No. 431. Ordered for London and Overseas Freighters Ltd. , sold 31st December 1956, to SOC. Transoceanica Canopus SA, Liberia (Rethymnis and Kulukundis Ltd. London) and renamed Altair. In 1959 she transferred to the Greek Flag and was subsequently sold on three more occasions before being scrapped Kaohsiung, Taiwan end 1974- beginning 1975 by Shyeh Sheng Huat Steel and Iron Works Ltd. Prior to sale the Steamers which were to form the collateral for the Tankers were converted from coal to oil burning thus making them easier to sell. What I don’t understand, not being a financier, is that in most cases the Brothers appeared to have sold the ships to themselves i.e. Countries to R and K. Also in the money go round London and Overseas Freighters Ltd. Shareholders raised another £750,000 which brought the paid up capital to £2.5 million and William Deacon’s Bank authorised an overdraft facility of £2.4 million, thanks in main to the excellent relationship it had with the Brothers. Banks even then didn’t allow overdrafts merely on relationships, mortgages were placed on all the Company’s ships, it was also know that a five-year charter for the tankers had been secured with Anglo-Saxon Petroleum Limited (Shell). Having spent the last four months of 1949 on one of the Company’s steamers, ‘Bluey’ Mavroleon, BM’s eldest son was dispatched to the Furness yard to follow the construction of the Company’s first Tanker ‘London Pride’. 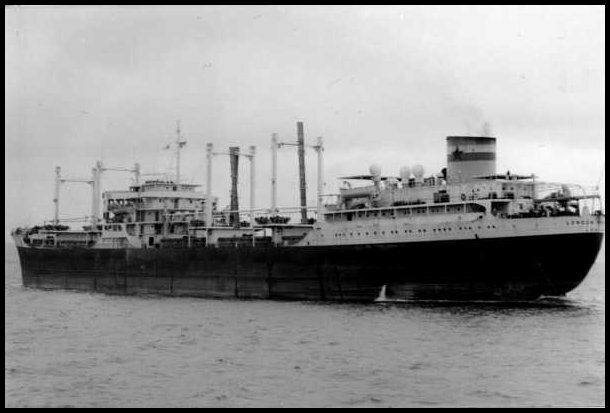 After the vessel’s completion on the 26th September 1950 Bluey sailed on the maiden voyage to the West Indies and New York before taking up a position in Ship Management Department at Balfour Place. Also during this year ‘London Enterprise’ came into service in the November and by March of the following year London and Overseas Freighters Ltd. had ten Tankers on order totalling some 200,000 tons dead weight. Time charters, a new innovation for Tankers, had been secured varying from five to seven years as the ships came into service, this was a form of insurance against the continues depreciation of the pound and ever rising operational costs. How it works was beneficial to both charterers and owners alike, a Tanker Brokers panel sat monthly a minimum and maximum price set, any excess over the latter was shared equally or at least that’s my understanding of it. It had always been the intention of the Brothers to invite the public to participate in what was hoped to be a lucrative venture, to this end they approached the London stock Exchange for a quotation and in February of 1951 the Authorities agreed in principle. The Stock Market stated that as long as a certain percentage of shares were made available to Institutions and the Public a quotation on the exchange would go ahead, this was achieved and on the 20th March 1951 dealing commenced. Early dealings in the Company by the Public were encouraging even though the Board had stated that the first four years a dividend of no more than 5% could be realistically expected. Built: 1952 by Furness Shipbuilder Co. Ltd., Haverton Hill-on-Tees. Tonnage: 12, 32g, 7,081n, 18,100 dwt. Engines: Single Screw 6 Cylinder Doxford by North Eastern Marine Engineering Co. Ltd., Wallsend. 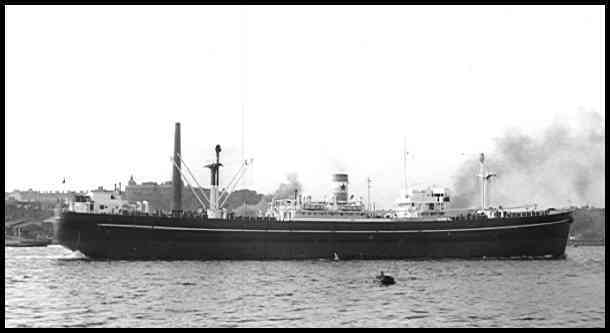 Launched on the 18th September 1951 for London and Overseas Freighters Ltd., completed 20th February 1952. Yard No. 448. On the 21st January 1965 she is sold to Marvalor Soc. De Transportes SA, Greece (Mavroleon Brothers Ltd., London) and renamed Don Manuel and in 1969 she is transferred to Liberian Registry. 1974 she is sold for scrap to Demasa of Spain, arrives in Bilba mid-March and work commences on the 11th May 1974. London Glory I © J.C. Built: 1952 by Sir James Laing Ltd, Sunderland. Tonnage: 10,081g, 5,977n, 15,374 dwt. Engine: Single Screw, 4 Cylinder 2S. C. SA by Doxford. Launched 4th October 1951, completed 3rd March 1952. Yard No. 793. 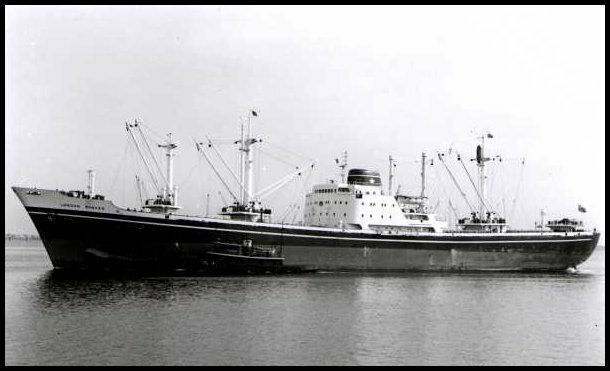 Sold to Mayfair Tankers Ltd on the 5th of July 1965 with the Mavroleon Brothers Ltd, London as managers, renamed Giannina flying the Greek flag. Sold to Salvamento Y Demolicion Naval S.A., Spain on the 15th of September 1969 for breaking, work commenced at Villanueva Y Geltru in the October. Built: 1952 by Furness Shipbuilding Co Ltd, Haverton-on-Tees. Tonnage: 12,132g, 7,085n, 18,070 dwt. Engine: Single Screw, 6 Cylinder 2S. C. SA Doxford by the North Eastern Marine Engineering Co (1938) Ltd, Wallsend. Launched 26th February 1952, completed 26th June 1952. Yard No. 449. Sold to constellation Carriers Corporation of Liberia and renamed Constellation on the 2nd of November 1964. Sold for breaking to Hua Eng Copper and Iron Co Ltd in 1974, work commenced at Kaohsiung on the 22nd of April 1975. Tonnage: 10,176g, 5,970n, 15,330 dwt. Engine: Single Screw, 4 Cylinder 2S. C. SA Doxford by North Eastern Marine Engineering Co (1938) Ltd, Wallsend. Launched 26th March 1952, completed 15th June 1952. Yard No. 795. Sold to Mayfair Tankers Ltd of Liberia, Mavroleon Brothers Ltd of London named as managers on the 6th May 1965 becoming Salamis under the Greek flag. Sold for breaking to Ya Chou Steel Manufacturing Co Ltd of Taiwan in May of 1970, work commenced at Kaohsiung on the 15th of June. 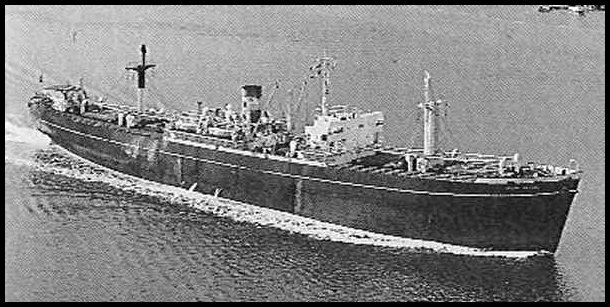 The Company’s London Splendour entered service January of 1953, some 24,600 dwt at the time major Oil Companies thought that this was about the limit Super Tankers could go, funny how times change. By the end of ’53 London and Overseas Freighters Ltd. had disposed of all its Cargo Ships concentrating solely on Tankers, it had originally been envisaged to run a mixed fleet of ships but spiralling costs ruled this out. As an example London and Overseas Freighters Ltd. had 6 Tankers on order, the original costing had been some £5.7 million, by March of 1954 this figure had reached £7.5 million. Built: 1953 by Furness Shipbuilder Co. Ltd., Haverton Hill-on-Tees. Tonnage: 16,206g, 9,314n, 24,310 dwt. Launched on the 22nd September 1952 for London and Overseas Freighters Ltd., completed on the 27th January 1953. Yard No. 450. After thirteen years as a tanker she arrives in La Spezia, Italy on the 11th May 1966 for conversion into a bulk carrier. On the 4th June 1970 she is sold to Mayfair Tankers Limited, Liberia, renamed Mayfair Splendour and the Mavroleon Brothers, London are appointed Managers. Another sale to Blue Line Shipping of Cyprus before being sold for scrap in 1978 to Tong Yung Copper and Iron, Taiwan, she arrives at Kaohsiung for breaking on the 15th December 1978. Built: 1954 by Furness Shipbuilding Co Ltd, Haverton-on-Tees. Tonnage: 12,123g, 7,042n, 17,960 dwt. Launched 16th April 1953, completed 8th January 1954. Yard No. 454. She was taken over by the Admiralty later Ministry of Defence for use as a fleet tanker and renamed Brambleleaf on the 22nd of May 1959. 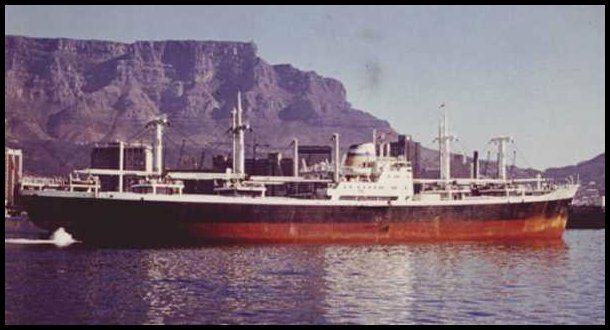 She returned to L.O.F on the 13th of April 1972 and was sold immediately to Mayfair Tankers of Liberia, Mavroleon Brothers Ltd of London named as management becoming Mayfair Loyalty. She was laid up at La Spezia on the 9th of September 1974 before being sold for breaking to Ditta Lotti on the 27th of February 1976, work commenced in the July at Spezia. In 1955 the first five-year charters with the Oil Company came to an end therefore London and Overseas Freighters Ltd. had to compete on the open market with other Companies for cargo, with stagnant freight rates BM stated in 1956 that if things continued at their present level it might be more profitable for all concerned to sell their ships and invest the proceeds in the Oil Companies. Built: 1955 by Furness Shipbuilder Co. Ltd., Haverton Hill-on-Tees. Tonnage: 12,123g, 6,940n, 17,930 dwt. Engines: Single Screw 6 Cylinder 2S.C.SA Doxford 6, 800 BHP. 14 Knots. Launched on the 28th October 1954, completed on the 30th March 1955. Yard No. 460. On the 16th June 1959 she was taken over by the Admiralty later the Ministry of Defence on a bareboat charter and renamed Bayleaf. Bareboat meaning no crew, the Royal Fleet Auxiliary manned the vessel and was to do so for nearly fourteen years. On the 22nd March 1973 she returned to London and Overseas Freighters Ltd. , reverted to Integrity, and traded until being sold for scrap on the 7th January 1977, she arrived at Burriana, Spain on the 25th January, work commenced by Aguilar Y Peris. As early as 1956 London and Overseas Freighters Ltd. were actively searching for ways of reducing its tax burden, a serious consideration at the time was ‘Flags of Convenience’ which allowed Companies to reinvest its profits into new tonnage. 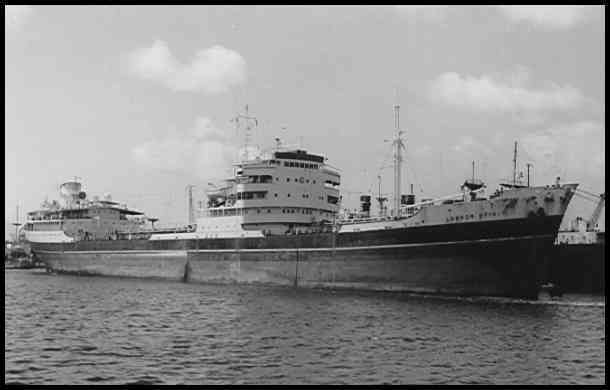 In April London and Overseas Freighters Ltd. decided to go ahead with its plans and set up a new Company in Bermuda with Phillip Hill, Higginson and Co. Ltd who owned Tanker Investment Trust Ltd. the new Company which was called London and Overseas Tankers Limited immediately ordered the construction of six Tankers for delivery 1958 – 1962. It also took a half interest in another Bermudan Company, London and Overseas Bulk Carriers Limited which ordered two Bulk Carriers for delivery 1960 -1961. 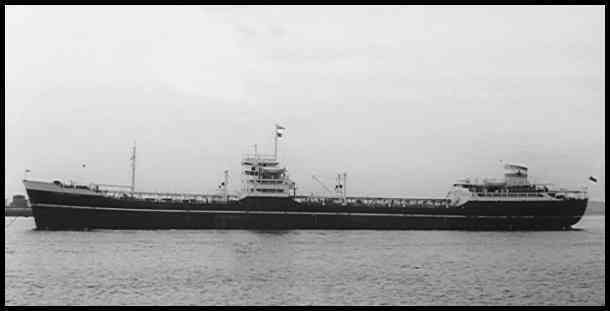 With the closure of the Suez Canal in 1956 the Tanker market started to prosper as never before, shipyards worldwide had full order books as well as the eight ships ordered by its Bermudan subsidiary London and Overseas Freighters Ltd. itself ordered a further six Tankers, the largest some 40,500 dwt. With shipyards dictating terms as to if and when ships were built London and Overseas Freighters Ltd. purchased a half share in the British yard of Austin – Pickersgill Ltd. thus it logically though ‘at least being part owner its my ships that are built when I want them’ and along with Phillip Hill, Higginson and Co placed orders for four 16,000 dwt cargo ships for delivery in the early sixties. London and Overseas Freighters Ltd. actively sought out meetings with shipyards to reduce its exposure, ships were either cancelled, postponed or in some cases substitutes were ordered i.e. cargo ships or bulk carriers in place of tankers. New ships ordered previously were still joining London and Overseas Freighters Ltd. fleet, the latest being the Overseas Courier delivered from the yard of Rheinstahl Nordseewerke, Emden, some 27,650 dwt., the largest bulk carrier on the British Register at the time, she fortunately had an eight year time charter for Krupp. Finding gainful employment for its ships became increasingly difficult, however the Board felt sufficiently confident to continue with its much altered building programme, increasing its own investment in the Company by some £3 million and waiving its right to any dividends for the next four years. On order at the time the Company had five tankers totalling some 166,000 dwt to the value of about £11.75 million, its associated Bermudan Companies a further 3 tankers totalling another 87,000 dwt. Built: 1957 by Furness Shipbuilding Co. Ltd., Haverton Hill-on-Tees. Tonnage: 16,275g, 9,473n, 24,950 dwt. Engines: Single Screw, 2 x Richardson and Westgarth Steam Turbines Double Reduction Geared, 8, 200 SHP. 14 Knots. Launched on the 29th April 1957, completed on the 29th November 1957. Yard No. 476. She arrived at Spezia, Italy on the 14th March 1967 for conversion to a Bulker by Industria Navali Meccaniche Affini. She was sold to the Pacific Tradition Navigation Corporation of Panama on the 2nd December 1976 and renamed Concord Apollo. She was sold to Taiwanese breakers in 1978 and work commenced at Kaohsiung, Taiwan on the 20th of September 1978. Built: 1959 by Furness Shipbuilding Co Ltd, Haverton-on-Tees. Tonnage: 16,267g, 9,480n, 24,900 dwt. Engine: Single Screw, 2 Steam Turbines by Richardsons, Westgarth Double Reduction geared to Single Shaft, 8, 200 SHP, 14 Knots. Launched 17th July 1958, completed 13th February 1959. Yard No. 461. Underwent conversion from tanker to Bulker at La Spezia by Industria Navali Meccaniche Affini in 1967, emerging with weights of 15,934 g, 9,113 n, 24,700 dwt. On completion transferred to L.O.F becoming London Explorer 1st May 1967. Sold on the 23rd December 1976 to Outercean Navigation Corporation of Taiwan and renamed Sovereign. Sold to Taiwan Breakers in 1979, work commenced at Kaohsiung 24th of April 1979. 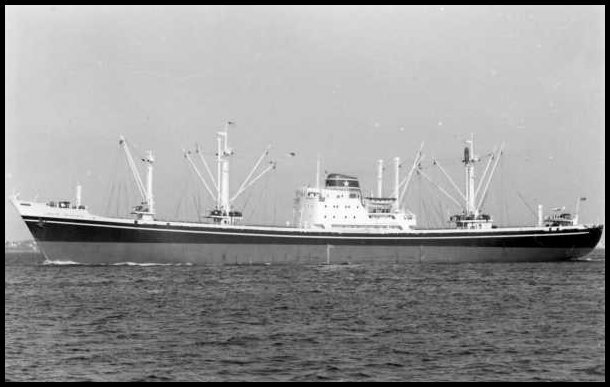 Built: 1959 BY Koninklijke Maatschappij “De Schelde” Flushing, Netherlands..
Tonnage: 13,022g, 7,352n, 19,214 dwt. Engines: Single Screw 6 Cylinder 2S.C. SA Sulzer, 7,800 BHP, 14 Knots. Launched on the 29th November 1958; completed on the 24th March 1959. Yard No. 288. On the 16th June 1976 the ship was sold to Apoikia Shipping Corporation of Greece, renamed Apoikia, in 1978 she transferred to Kalymnos Shipping Corporation of Greece, renamed Kalymnos and in 1981 she was sold for scrap to Jelani Timber Company Limited Pakistan, work commenced at Gadani Beach in January 1982. In 1960 London and Overseas Freighters Ltd. went into a Limited Partnership with the Gibbs Family, a long established Welsh shipping business, the new enterprise was called Welsh Ore Carriers Limited and a new ore carrier ‘Welsh Herald’ was ordered from Austin & Pickersgill Limited. This was to be the start of a very rewarding partnership. 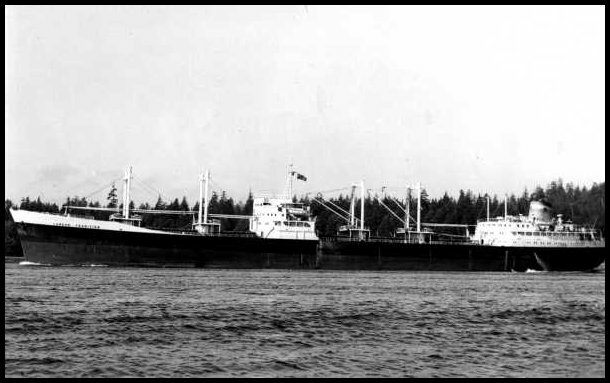 In July of 1960 London and Overseas Freighters Ltd. were fortunate in being able to find employment for 10 of its tankers chartered to the Government Agency of the USSR for a three to four year period. Again it was able to negotiate a deal whereby it secured a minimum freight rate allowing the ships to make a slight profit as freight rates increased so did London and Overseas Freighters Limited’s profits. These were to significantly boost the profits of the Company over the next few years. Austin & Pickersgill in the meantime had completed its modernisation programme at its Sunderland yard and was able to compete competitively with any yard in the World, nevertheless it to was affected by the decline in orders, in an attempt to stay operational ships were sometimes built at little or no profit. 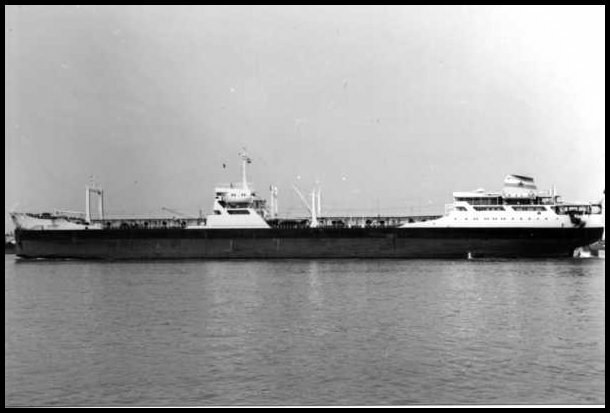 For the first time in its history London and Overseas Freighters Ltd. posted a trading loss and passed on a dividend in March of 1962 it still had six cargo ships on order but had taken delivery in the June of its final tanker which had been ordered pre-1960. In 1962 the Company fell foul of the American Blockade of Cuba because some of its ships were on charter to the USSR which openly traded with Cuba. 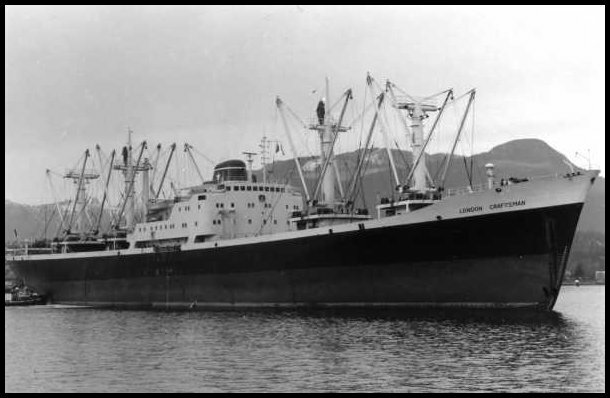 London and Overseas Freighters Ltd. argued that its ships were on charter to Russia not Cuba. This did appease the USA Government, though not some of the Unions notably the Longshoremans who made life difficult for any Shipping Company that visited Cuba, this affected London and Overseas Freighters Ltd. in various ways right up until the end of 1964. Austin & Pickersgill, the shipyard in which London and Overseas Freighters Ltd. had a half share interest incurred a loss and by mid-1963 had no further orders for new tonnage. Built: 1963 by Rheinstahl Nordseewerke, Emden, West Germany. Tonnage: 14,027g, 7,764n, 18,957 dwt. Engines: Single Screw, 7 Cylinder 2S.C.S.A. by Maschinenfabrik Augsburg Nurnberg Agr, 8,400 BHP. 14.5 Knots. Launched on the 16th October 1962, completed on the 21st February 1963. Yard No.321. She was bareboat chartered to the Ministry of Defence on the 5th March 1973 as a Royal fleet Auxiliary and renamed Cherryleaf. Sold to Petrostar Co Ltd of Saudi Arabia on the 12th of August 1981 and renamed Petrostar XVI. She was hit by missiles fired by Iranian helicopters during the Gulf Conflict on the 5th April 1986 whilst on passage from Bahrain to Sharjah, four crewmembers were killed. She was towed to Sharjah where she was declared a total loss and was sold to the National Ship Demolition Co Ltd of Taiwan for breaking. Work commenced at Kaohsiung, Taiwan on the 19th of February 1987. Built: 1963 By Uddevallavarvet A/B Uddevalla, Sweden. Tonnage: 10,892g, 6,196n, 15,100 dwt. Engines: Single Screw 8 Cylinder 2S.C.SA Gotaverken, 10, 000 BHP, 16.5 Knots. Launched on the 30th January 1963. completed on the 26th June 1963. Yard No. 191. On the 10th July 1972 she was believed to have been the victim of Vietcong saboteurs whilst unloading a cargo of rice at Nha Trang, Vietnam, the damage caused the ship to sink by the stern when the Engine Room flooded. 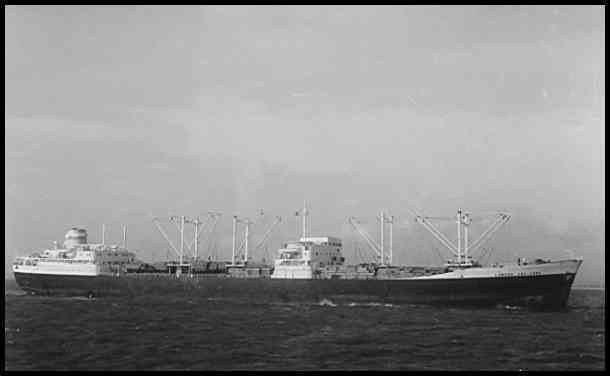 She was refloated and sailed for Singapore to facilitate repairs on the 31st July 1972 under tow. On the 10th October she returned once more into service but on the 5th January 1979 was sold out of the London and Overseas Freighters Ltd. Fleet to the Diana Shipping Agencies S.A. and renamed Agia Marina. Sold again in 1981 renamed Olympiakos, again in 1983 renamed Skaros, it was whilst with her last owners OBI Island Maritime S.A. that she was struck by an Iraqi Exocet missile in the Engine Room whilst outward bound in the Bandar Khomeini Channel, Iran. The same day she was towed back to Bandar Khomeini and insurers declared her a total loss. Built: 1963 by Uddevallavarvet A/B, Uddevalla, Sweden. Tonnage: 10,893g, 6,198n, 15,100 dwt. Engines: Single Screw, 8 Cylinder Gotaverken, 10, 000 BHP. 16.5 Knots. Launched on the 9th March 1963. completed on the 29th November 1963. Yard No. 192. Sold to Carona Shipping Corporation of Greece and renamed Pindaros on the 5th July 1976. In April of 1982 she was laid up at Galaxidi in Greece for five years before being sold to Oporto Maritime Ltd of Malta and renamed Leixoes. In 1989 she was briefly owned by the Dongaster Shipping Co Ltd of Honduras and became Don. In 1990 she was sold for breaking to Taker and Co Ltd of Bangladesh and work commenced on the 4th November 1990 at Chittagong Roads. Built: 1963 by Bijker’s Aannemingsbedrijk ‘Ijsselwerf’ N.V., Gorinchem, Netherlands. Tonnage: 10,523g, 6,141n, 14,514 dwt. Engines: Single Screw, 6 Cylinder 2S.C.S.A. Sulzer, 7, 800 BHP. 15.5 Knots. Launched on the 1st June 1963, completed on the 4th November 1963. Yard No. 169. The ship was completed by Koninklijke Maatschappij ‘De Schelde’ Flushing, Netherlands. She was sold to Compania Riva S.A. of Greece and renamed Riva on the 26th of February 1973. She joined the Craftsman at Galaxidi in Greece for lay up on the 7th of May 1982. She was sold in 1986 to Alysia Shipping Ltd of Malta and renamed Alysia Bay. In the same year she was sold for breaking to the Hazee Ship Breaking Industries of Bangladesh and work commenced at Fouzderhat on the 20th August 1986. Built: 1964 by Koninklijke Maatschappij ‘De Schelde’ Flushing, Netherlands. Engines: Single Screw, 6 Cylinder 2S.C.S.A. Sulzer, 7,800 BHP. 15.5 Knots. Launched on the 20th July 1963, completed on the 2nd May 1964. Yard No.169. On the 12th of March 1973 she was sold to Overseas Shipping Pte Ltd of Singapore and renamed Singapore Fortune. Her owners went into liquidation in 1980 and she was sold on to the Overseas Fortune Shipping Pte Ltd again of Singapore and her name remained the same. Her final commercial move was in 1984 to Golden Line Pte Ltd (Guan Guan) and she was renamed Golden Haven. After eight further years service she was sold to Indian Breakers and she arrived at Along on the 4th of March 1992. The incumbent Government of the day realised the problem being faced by shipyards and announced State Aid in the form of realistic credit terms to any British Ship owner who had his ships built in British Shipyards. Unfortunately though the measures were able to keep some yards open it proved to be only a stopgap measure much favoured by most British Governments and Austin & Pickersgill were again building ships with little or no profit.